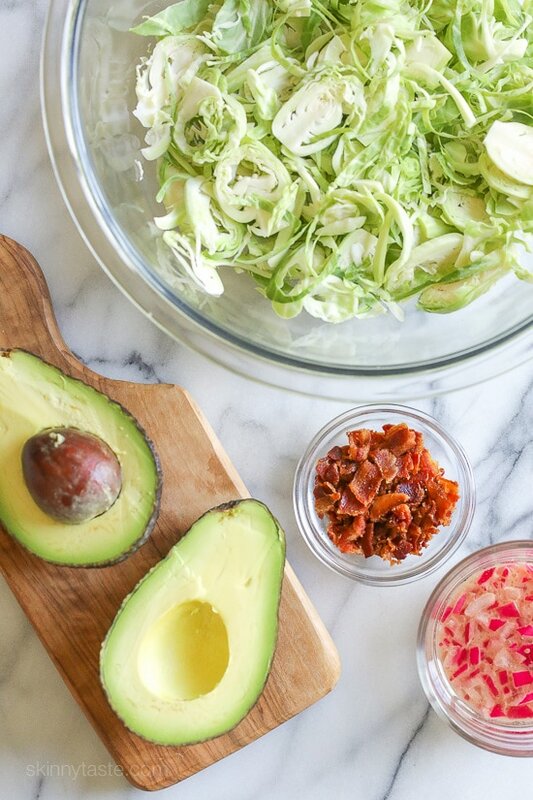 This shredded raw brussels sprout salad with bacon and avocado can be eaten as a main or a side dish. Because raw brussels stand up so well to dressing, it’s also great to make ahead – just add the avocado right before serving. More brusssles sprout recipes you may enjoy are Raw Shredded Brussels sprouts salad with lemon and oil, Sauteed Brussels Sprouts with Pancetta and Grilled Brussels Sprouts with Balsamic Glaze. My youngest daughter Madison loves eating shredded raw brussels sprout salads, which I realize may be a bit odd for a six year old. She doesn’t like them cooked however, so I use them in salads quite often, and sometimes even pack it for her lunch (yes, she does get teased about this!). Her favorite brussels sprout salad recipe is with lemon and oil, as you can see here. 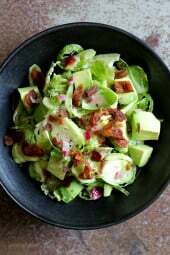 I love this version with bacon and avocado, because… well bacon!! Cook bacon in a large heavy nonstick skillet until crispy, about 7 minutes. Transfer to a paper towel to drain and set aside. In a small bowl whisk the vinaigrette ingredients. 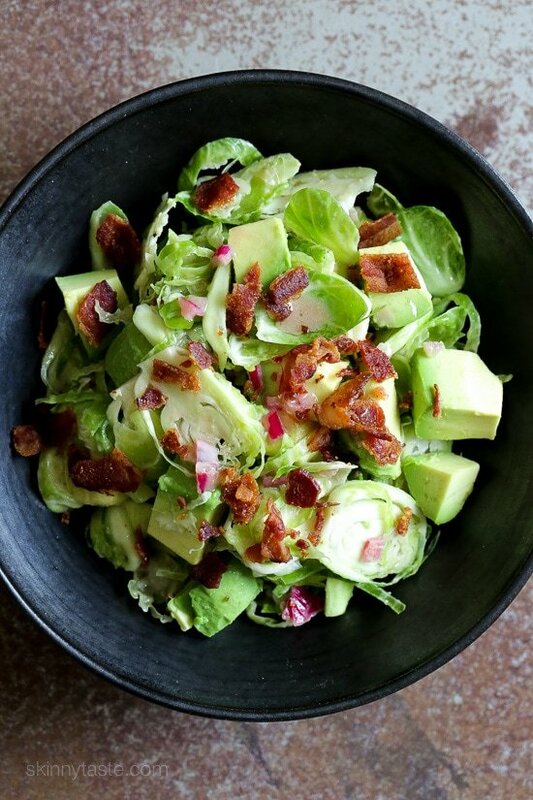 Place brussels in a bowl and toss, pour dressing over the salad, top with avocado and bacon and serve right away.